There is a great misconception that the purpose of attribution modelling is to arrive at a singular, concrete truth; however, the reality is much more nuanced. Attribution modeling is actually an ongoing process of improving how we measure marketing’s impact in order to improve our decision making over time. Why is attribution a process and not an end state? Why is making small steps forward really better than doing nothing? Why does the perfect attribution model not exist? What makes attribution an ROI investment and not a cost center? With the many attribution myths, challenges, and philosophies in mind, AdRoll and Econsultancy have partnered for a second year in a row to produce The State of Marketing Attribution 2017. This time around we’ve broaden our focus beyond Europe to include content that also covers North America and Asia-Pacific. 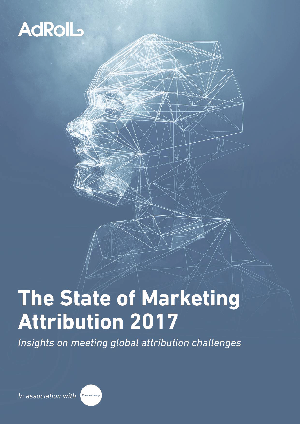 This report goes in-depth on the current adoption levels of marketing attribution, the confidence in its usage, and the effectiveness of companies’ attribution methods worldwide. You will gain a better grasp on the required skills to succeed at attribution.